I started my journey into the world of programming using PHP. Then there were no regular meetups in the community or at the very least I did not know of any. Being one of the most popular languages of the day, it did not make sense to me why this was not happening, so I made a call for the first event. This was the first time I was organizing a community event, was not sure how it was going to go but my purpose was clear, meet and discuss all things PHP. The turn out was good, the session started and essentially I said, welcome and discuss! Nothing happened, everyone just stared at me blankly. What will do for the next year? What kind of events are we interested in? What speakers are we interested in? As if by magic, this constraint on what is to be discussed infused the session with energy and I learned a valuable lesson, one in which I hope to pass on to new group leaders today. In this entry, we will be looking at why your meetings should have an explicitly stated agenda. A meeting without a purpose is a useless one. The purpose of the meeting answers the question, why are we having this meeting? Even if you have one, you need to know when you have been successful in the meeting. This means you not only need the why you also need the how. An agenda communicates your plan of action to meet the purpose. In this way, you are able to iron out any inconsistencies within the group and have an objective way of knowing when you are done. No one likes 2-hour discussion sessions. Life is what it is, at times you may need to step out of the meeting midway, perhaps leave someone else to deputize you. A clear and agreed on agenda means you have the confidence to do this and when you come back, find the meeting is still on track. What I have come to realize about good teams is they give you leverage, allowing you to do 10X or 50X what you could do by yourself. But the only way to achieve this is if you are in alignment. For directors, ie your direct reports are managers themselves, it is useful to thrash out what their agendas with their reports will look like. In this way, you get more clear and consistent results without having to attend each and every single meeting. Agendas are not meant to be dictated from on high. By having a short discussion on what the agenda items should be, you reinforce within them the mindset they are in charge and you get viewpoints which would otherwise be inaccessible to you. Even as you run your meeting, you must remember, the agenda serves the purpose of the meeting and not the other way around. An explicit agenda by definition specifies what is not to be covered. This provides a chance for the team to tell you what you may be missing and just as importantly what need not be there. You then have the chance to remove what is not absolutely necessary to achieve your purpose. Meetings should be time-boxed, if the allocated time is 30 minutes and you realize there is absolutely no way you can cover everything, then reduce the scope, remove some items from the agenda. With an implicit agenda, such value budgeting is not possible, so what happens is you either blow past the end time or worse cover only the first items with no concern to their value in relation to the purpose. 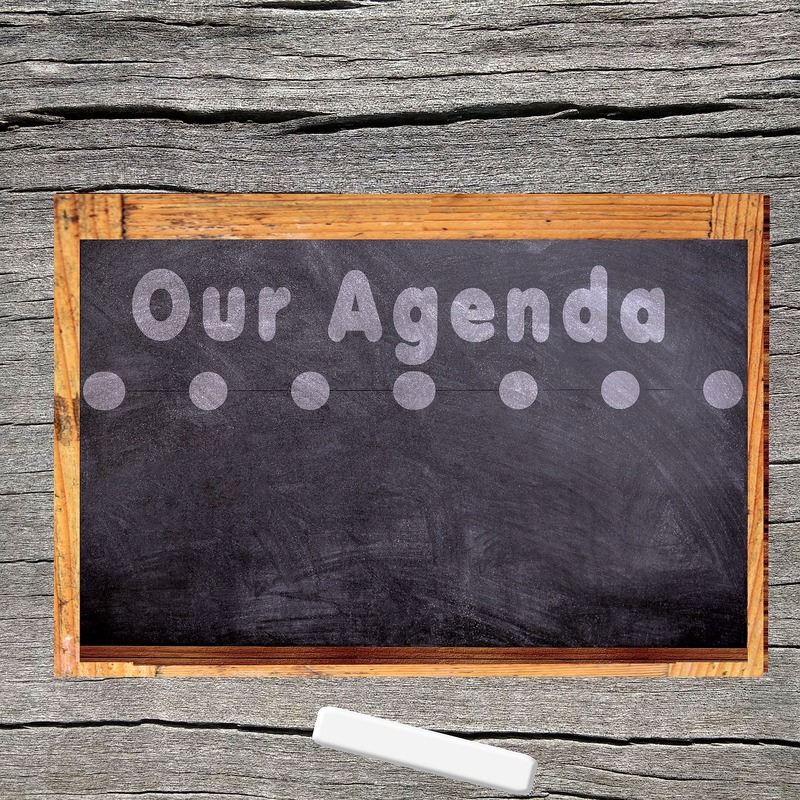 Do you normally have a stated out agenda at the start of your meetings?